Home / 3d glasses / 3d smartphone / full 3D / hands free 3d / myphone / smartphone / MyPhone SuperD now available in the philippines. MyPhone SuperD now available in the philippines. SuperD in partnership with MyPhone officially launched the SuperD D1 in the country, this smartphone was introduced last 4th quarter of the 2016 during the launch of My Phones Agila App. The SuperD D1 features the Naked Eye 3D, it allows you to play, watch and enjoy 3D content such as videos and games without the help of 3D Glasses. D1 offers Dual nano SIM LTE capable, 5.5” Full HD IPS screen with 2.5D Curved Glass and Corning Gorilla Glass 3 protection. The Super D1 is powered by 1.5 Ghz Octa-Core Processor with MediaTek MT6750T chipset and Mali-T860 MP2 GPU,SuperD also add a dedicated GPU chipset for 3D/Vr mode. It also has a 3GB RAM and 32GB Internal Memory and can be expand up to 256GB via MicroSD on SIM2 slot. About its camera, the D1 has a 13MP Rear Camera with LED Flash and on the front it has a 8MP Front Camera for taking selfies and an extra 2MP front camera for eye tracking sensor uses for 3D. You don’t need to worry were to get 3D content, SuperD provides mobile application so you can enjoy hussle-free 3D Experience. The SuperD D1 will be available starting on January 30 at the price of P11,999 exclusively available at Lazada and O Shop Only. 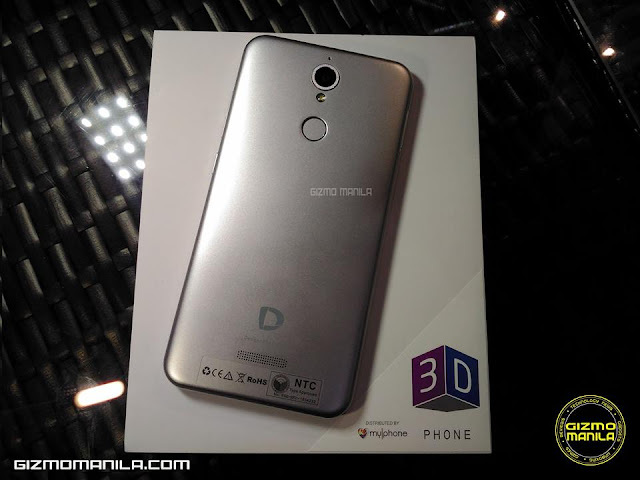 The first 1,000 who avail the SuperD D1 smartphone will get a FREE VR Zero Headgear worth P999. VR Zero will be available in color Black/Red and Black/Yellow. Promo will be running from Jan. 30 – Feb. 28 or until supply last. To learn more about MyPhone, visit Fb.com/MyPhonePH or MyPhone.com.ph.